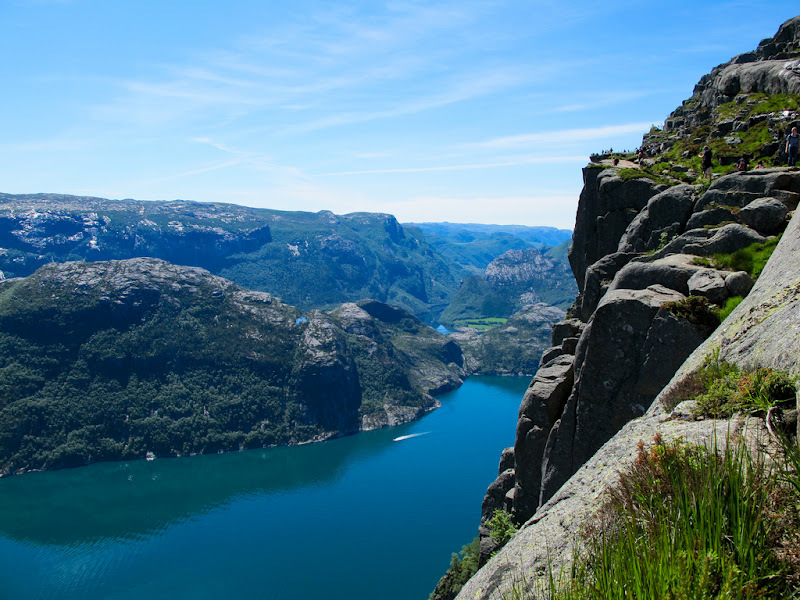 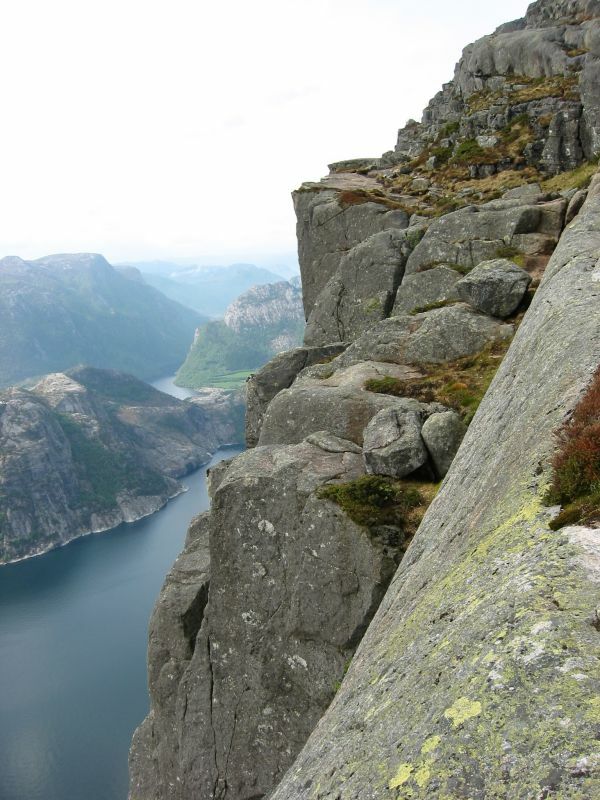 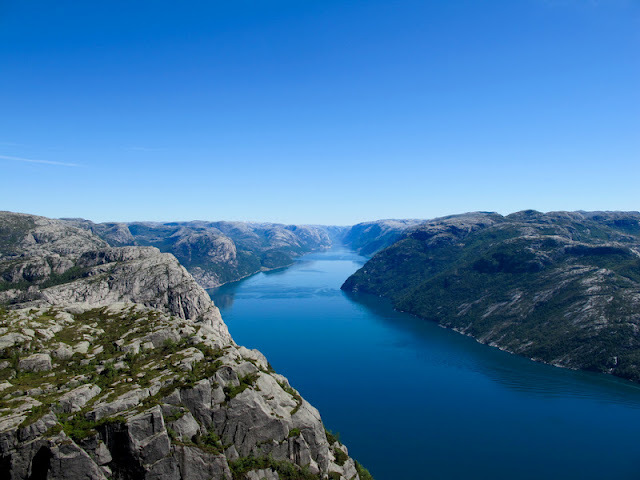 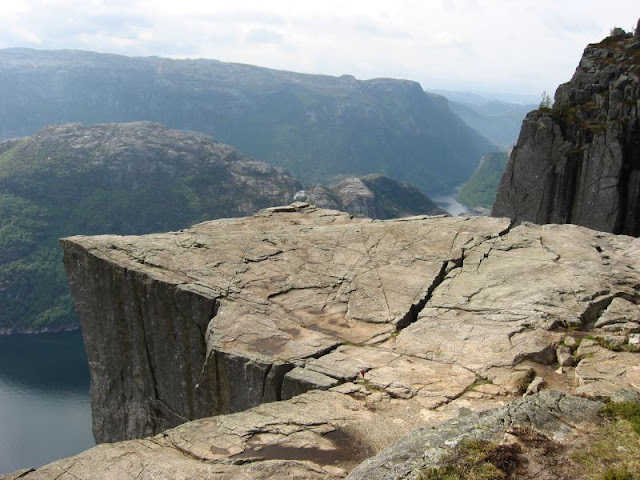 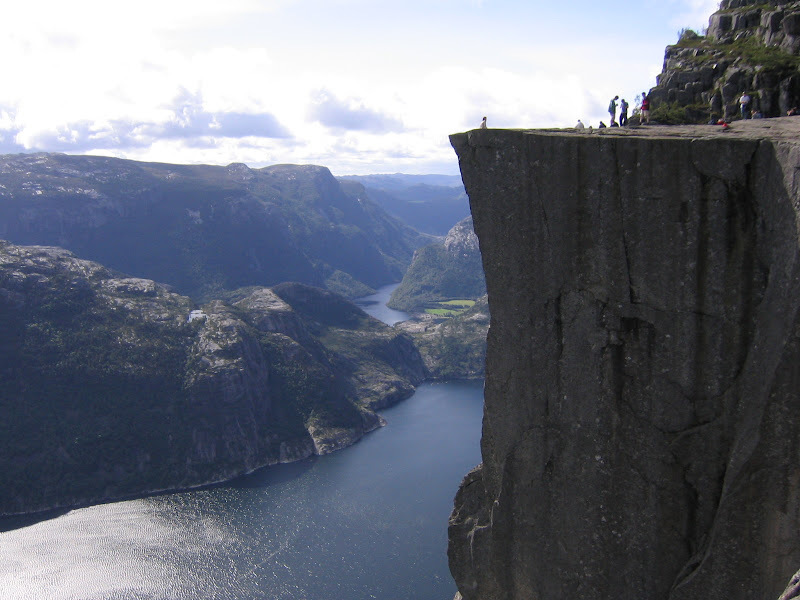 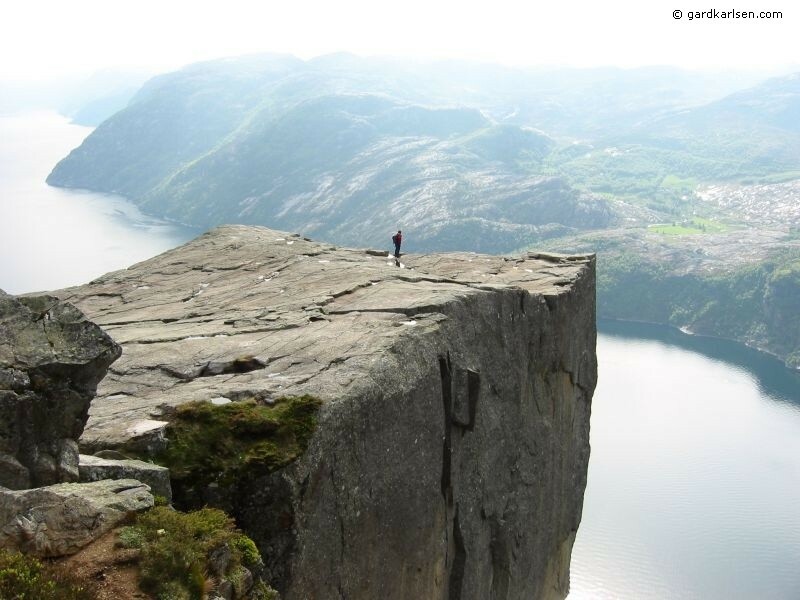 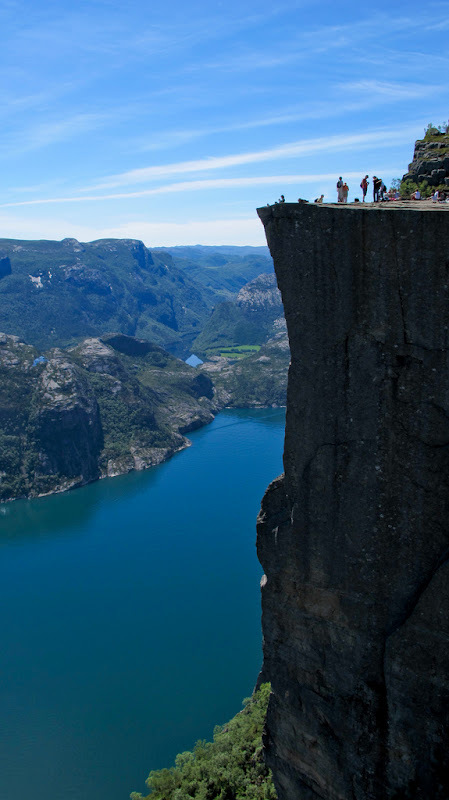 Are you afraid of heights Come to Preikestolen, Norway! 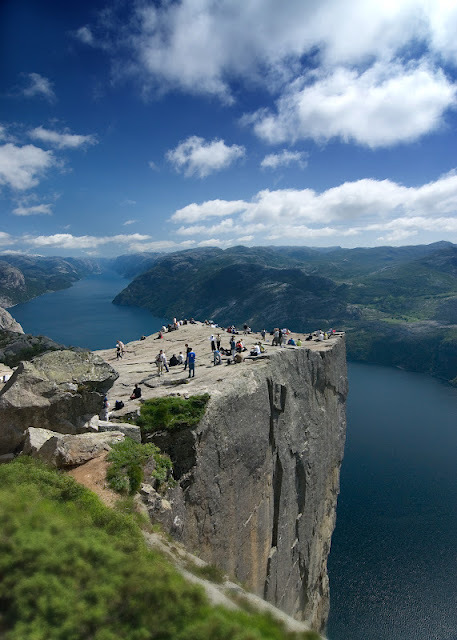 Preikestolen or Prekestolen, also known by the English translations of Preacher's Pulpit or Pulpit Rock, and by the old local name Hyvlatonnå (“the carpenter-plane’s blade”), is a massive cliff 604 metres (1982 feet) above Lysefjorden, opposite the Kjerag plateau, in Forsand, Ryfylke, Norway. 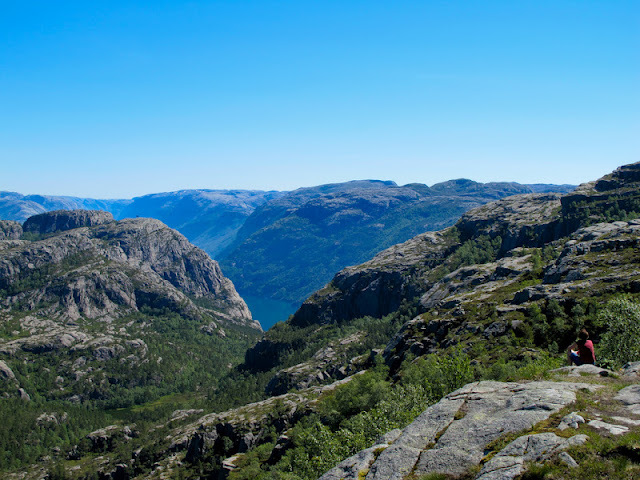 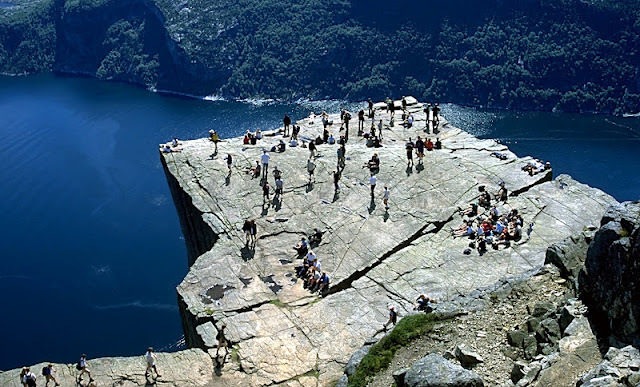 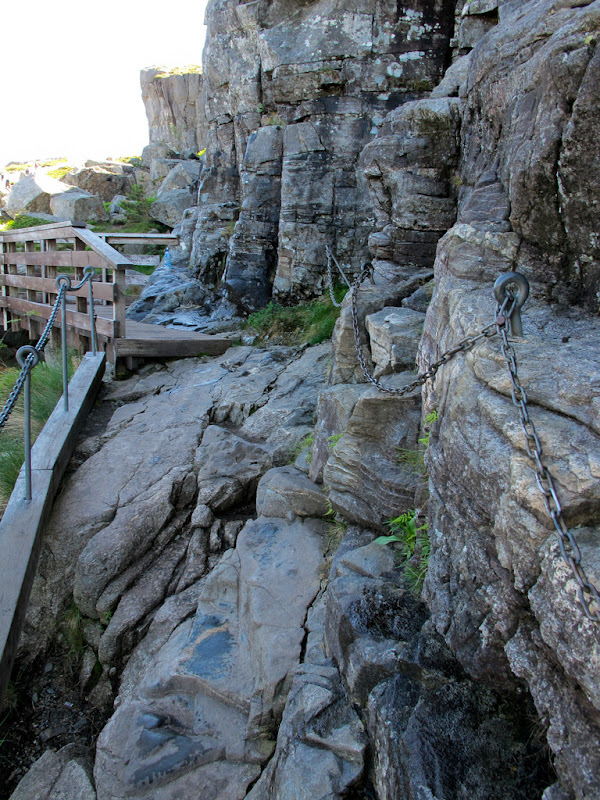 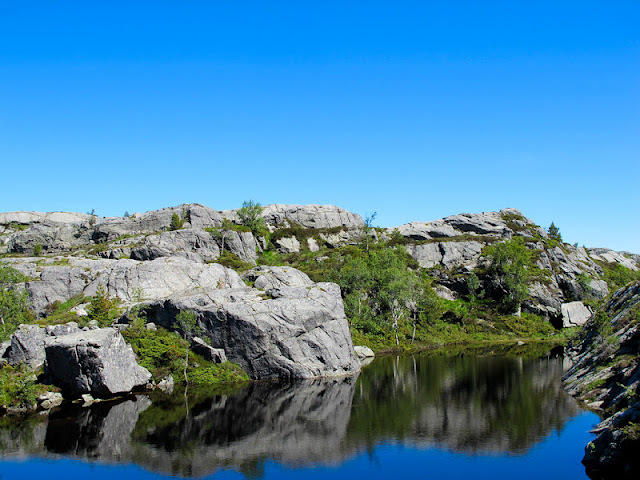 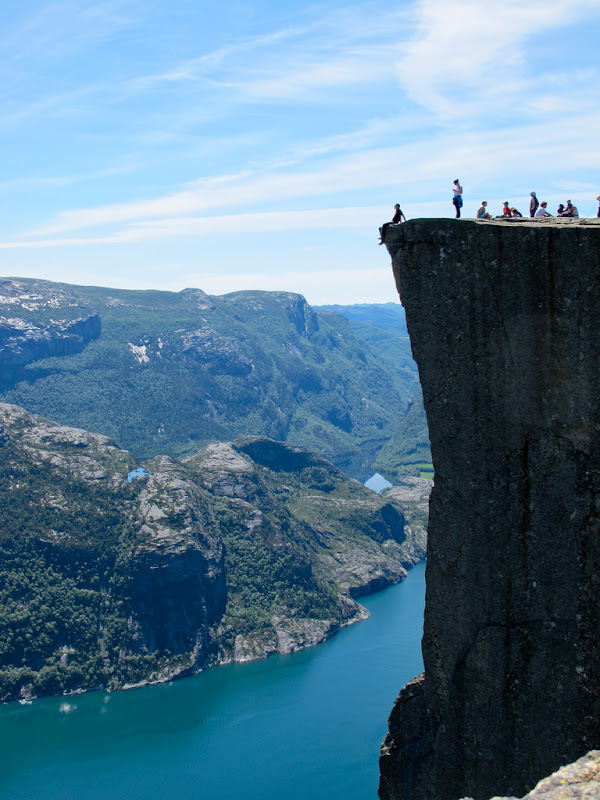 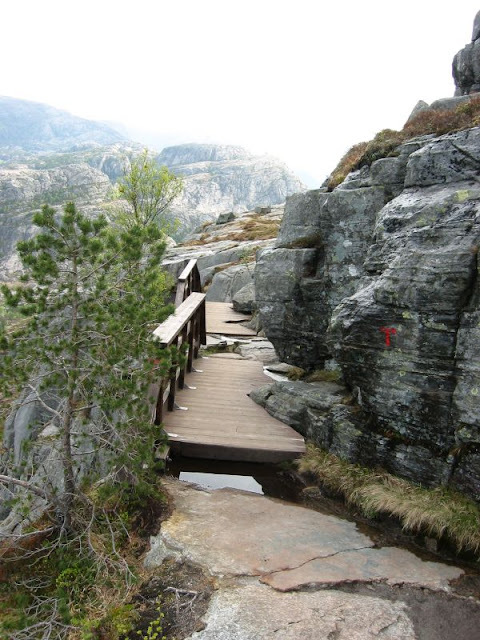 The top of the cliff is approximately 25 by 25 metres (82 by 82 feet) square, almost flat, and is a famous tourist attraction in Norway. 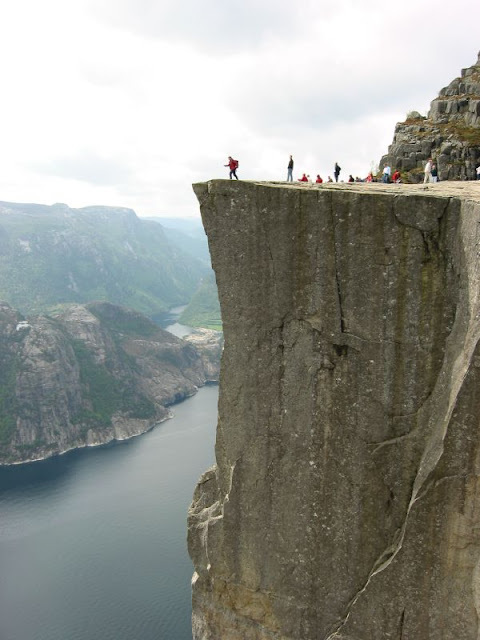 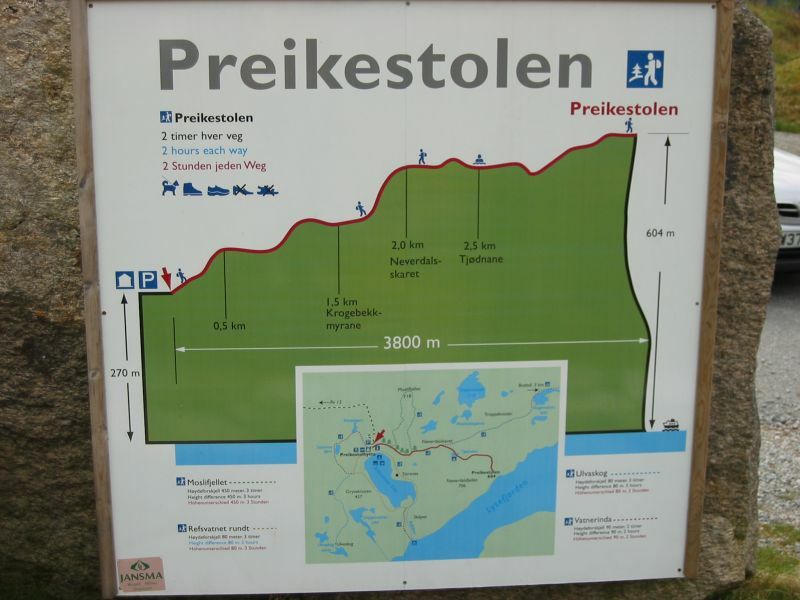 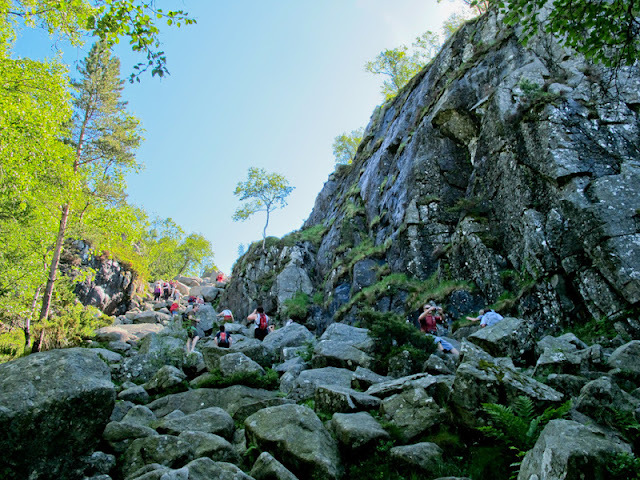 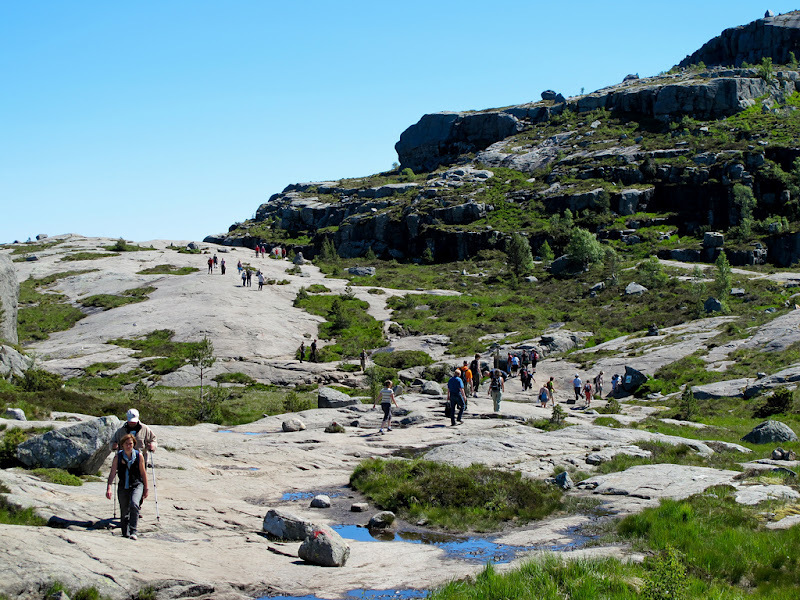 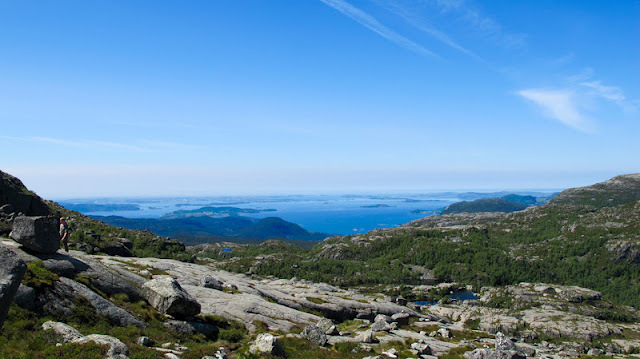 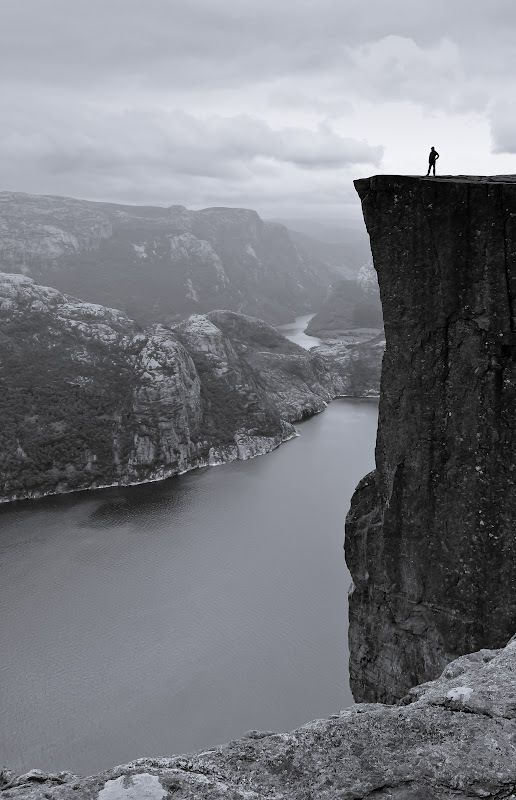 1 response to "Are you afraid of heights Come to Preikestolen, Norway!"